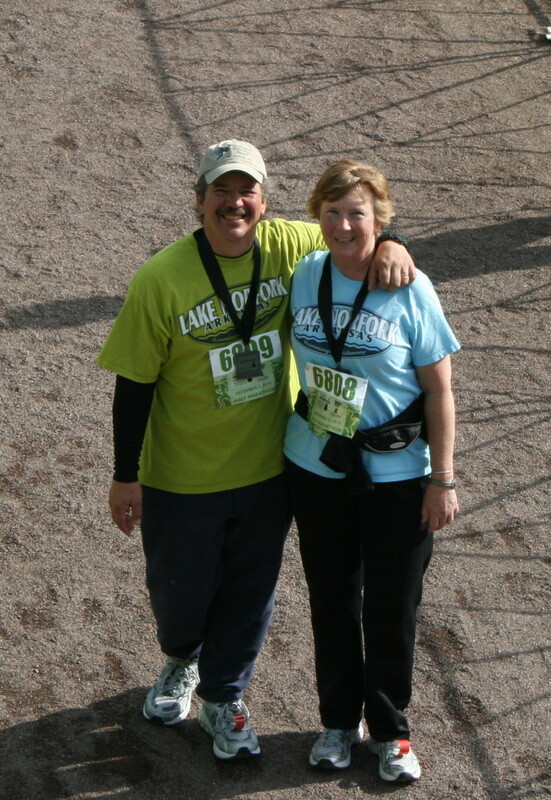 Owners Lou and Linda Gabric after finishing the 2010 St. Judes Half Marathon in Memphis, TN. Lou and Linda have owned and operated Hummingbird Hideaway Resort since November 2002. Friendly personal service and attention to detail is what keeps many guests returning. Lou fishes often and can advise guests regarding tackle, fishing locations and methods. Linda will help you locate the herbs and veggies that are ripe at the time of your stay. She quilts and is trying to replace commercially made quilts with handmade quilts in each cabin. We can help you plan day trips from the resort, arrange catering, choose restaurants and locate services you may need while you are with us. We truly want you to know that you have made friends and hope you feel at home while you are at Hummingbird Hideaway Resort on Norfork Lake. Hummingbird Hideaway Resort on Norfork Lake offers all the beauty of the Ozark Mountains with convenient shopping and restaurants nearby in Mountain Home, Arkansas. With 15 fully equipped cabins, Hummingbird Hideaway can be a private getaway for two, a reunion location for families, or the place a fishing club chooses for their next tournament. Our large boat dock, in a quiet cove, has a large parking area, concrete launch and is a pleasant walk or drive from your cabin. The dock is more than a place to park your boat. With such a nice dock guests can enjoy Norfork Lake even if they don’t have a boat. Many guests sunbathe, swim and fish from the dock while still being close to the resort. You’ll find electric at each stall, a fish/swim platform, fish cleaning station, and lights. WIFI at the dock allows you to use your mobile devices while you relax. The resort grounds, with manicured lawns and flower beds, are surrounded by a hardwood forest to create a quiet private setting. Enjoy our sharing garden. Fresh herbs and seasonal vegetables are just waiting to be part of your meal. We think you, like many others, will find Hummingbird Hideaway Resort on Norfork Lake to be the place you will want to return to year after year. Norfork Lake, with its 550 miles of shoreline is a clean, clear, calm and uncrowded lake. It is ideal for all types of water sports, such as skiing, wake boarding, tubing, snorkeling, and scuba diving. With all the coves, you can find a quiet spot to swim, fish or just hang out. The lake has beautiful limestone bluffs and is surrounded by hardwoods and cedar trees. 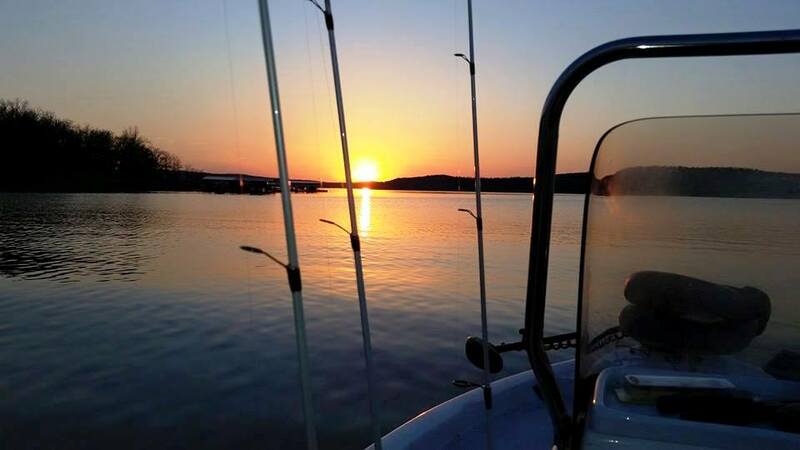 There are 10 marinas scattered around the 25,000 acres of lake, but otherwise the lake is commercial free. Norfork Lake is river fed, never freezes and is beautiful year round.